In the era that “Beauty is the key”, we need to “show’ our data. 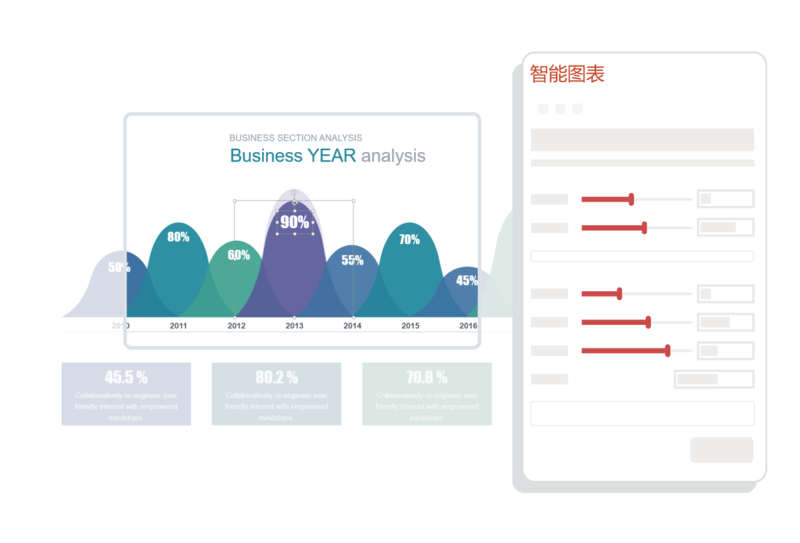 Unlike the mediocre traditional charts, the Smart Chart present the data to the audience in a more intuitive and flexible way. 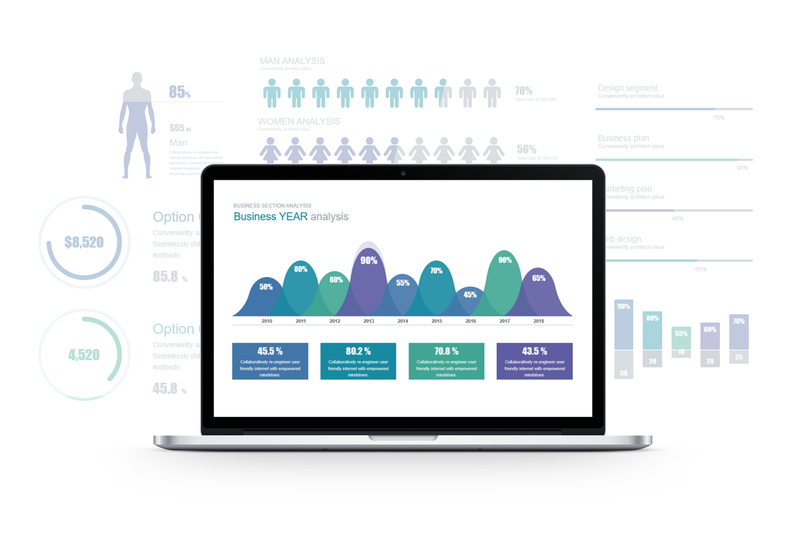 Boasting the maximum editability, the Smart Chart allows you to change the icons (100,000 + icons available) and data (the graphics of the chart will automatically adjust with the value) at any time. Creativly designed by professional design team, the Smart Diagram keeps the mainstream design style and is accumulating and updating to keep you up-to-date. A good PowerPoint design allows data to speak. You can do it.